At the recommendation of a good friend and garden blogger, I joined a Web site called Blotanical.com, where you can go and read gardening blogs from all over the planet. Warning: it's addictive. 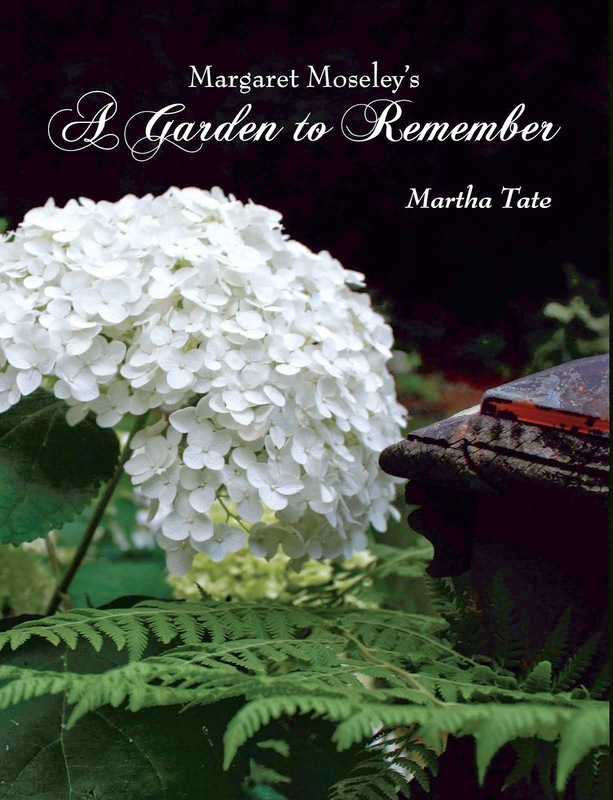 I could spend every waking hour reading about other people's gardens and looking at all the beautiful pictures. When you join, you are supposed to provide information about yourself. Although I haven't conquered the "About myself" part yet, I did finally figure out how to fill in some of the information they requested, like "The prettiest flower" (I put peony and rose, but could think of a zillion others I love) and "greatest tree" (I first put ginkgo, then changed it to American beech; I have them all in my woods, and they are beautiful at every time of the year). When I got to "Desired Garden Style", I was flummoxed. 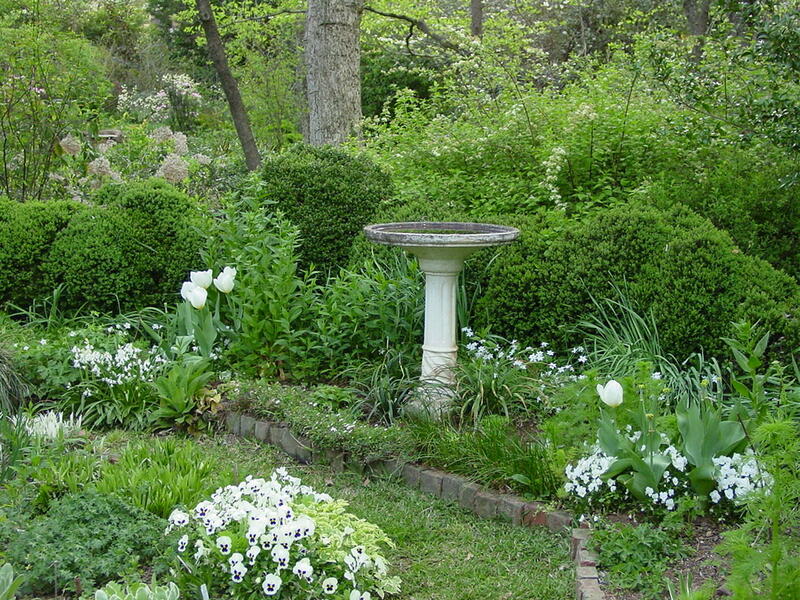 I love so many kinds of gardens - natural, native woodlands, Italian, French, American and English with formal and cottage garden elements, and so on. I'm sure if I could travel to a lot of other countries, I could add those styles, too. The above photograph shows one of the garden styles I like. This is a section of the white garden, part of a large cottage garden at the home of garden designers Rick Crown and Richard Simpson. They live in an 1890's clapboard house in the charming, ante-bellum town of Madison in east Georgia (for readers in other countries, the "bellum"in these parts refers to The War Between the States in the 1860's). At any rate, I like the rustic feel of the above space (i.e., the bricks are set rather casually - something I think I could do myself), and I also like the boxwoods which provide some green structure and form a dark backdrop for the white flowers. I love the overall pattern of the garden, though, which has a formal, geometric design. You enter and exit the white garden through rustic wooden arches. In the middle is a stack of large stones topped with an urn filled with white flowers. Bricks outline curving beds which flank the center (the plants in the foreground are in one of these beds). On the other side of the garden, drifts of green and white variegated Japanese Solomon's seal are coming up alongside green and (mostly) white variegated hosta, freshly emerging from the ground. There's also white flowered money plant under the cedar arches, and white flag irises are in bloom in another border. They've thrown in some gray plants like lamb's ears and some green and white striped liriope, as well. If I want to have something that will look like this photograph, I need to get busy. In this part of the South, pansies and violas are planted in the fall. That's when they're available in the nurseries. And, any bulbs like the white scilla and white tulips should be planted in late autumn. But wait. None of this will work until I can get a deer fence in place. If I don't do something quickly, the creatures will really put a dent in my plans; they've already dashed a lot of my dreams, and I can't let this keep happening.